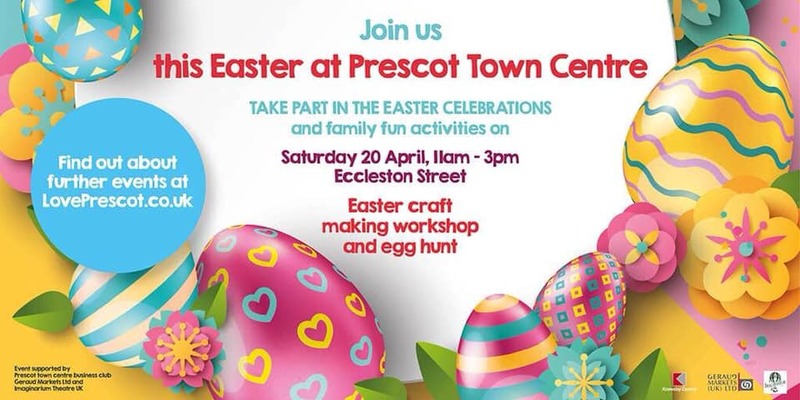 Join us for a day of fun filled free Easter themed activities in Prescot Town Centre on Saturday 20th April 2019 between 11am and 3pm. The chance to meet the “Easter Bunny”, Mother Goose and some “Fairy Folk”. The workshop activities will be based on Eccleston Street (inside the old Grace Lea unit). This event is being organised by Knowsley Council in conjunction with Prescot Business Club, Geraud Markets Ltd and Imaginarium. Please come and support your local Town Centre.